Seattle author Cheryl Kilodavis was taken aback when her son Dyson, age 2 at the time, began gravitating toward dolls, “dress up” and jewelry. Initially, she tried redirecting him to the trucks and balls that her older son liked to play with, without much success. “The way that I explain it is that he has always had an eye for pretty things,” she says. In her children’s book, My Princess Boy, Kilodavis writes about a 4-year-old boy who loves tiaras, dresses and the color pink. It is based on Dyson’s story and her own journey to acceptance. “What we didn’t anticipate was that the book would appeal to every child who feels different,” says Kilodavis. The book has resonated with men, too. Kilodavis has received letters and e-mails from around the globe thanking her for challenging the traditional male image. 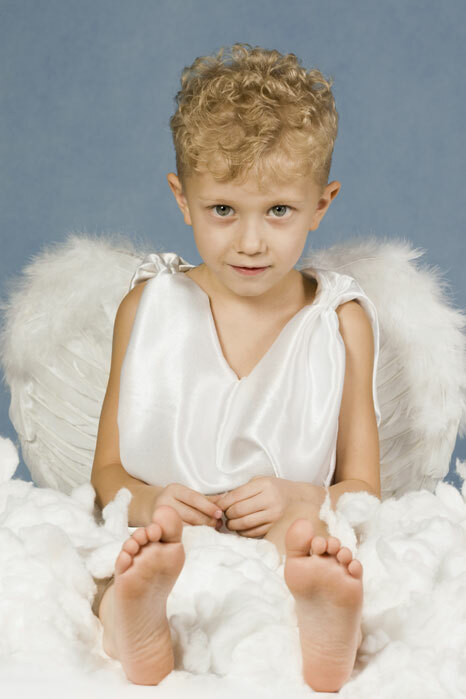 Christia Brown, Ph.D., a professor of developmental psychology at the University of Kentucky, says it’s common for boys in this age group to want to wear frilly dress-up clothes or have their nails painted. “There doesn’t seem to be anything biological that drives boys to be interested in cars and trucks, and girls to be interested in dolls,” says Brown. Redmond dad Dan Fernandez remembers his sisters trying to put makeup on him when he was a child. His mom stopped them, worrying it might “make him gay,” he says. He and his wife, Angie, don’t fixate on whether the toys and books that their 3-year-old son, Gavin, plays with are geared toward boys. “Gavin will just pick whatever looks cooler,” says Fernandez. “He has no concept that one is right or wrong.” When Gavin tried to play with Angie’s makeup, they let him. “We didn’t want to say, ‘No, this is something you can’t touch.’ It was more like, ‘Don’t knock over that container, because that makeup is expensive,’” says Fernandez. 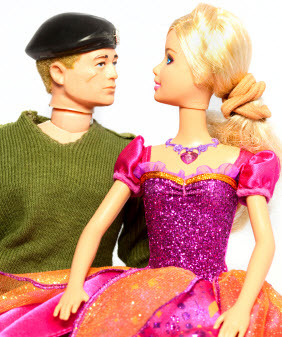 While it’s not unusual for parents to be concerned that allowing a boy to play with dolls or makeup will in some way affect his sexual orientation, the research doesn’t support this idea, says Brown. “Instead, there seem to be genetic, hormonal, neurological and social factors that contribute to sexual orientation. In other words, we are either gay or not, just like we have either brown hair or not. It can’t be encouraged or discouraged, simply accepted,” she says. Most boys start developing more gender-typical interests by age 4 or 5, as they start paying attention to what other boys are playing with. For boys who continue to enjoy girl-oriented play as they get older, Brown suggests parents allow them to engage in these activities at home. She also recommends that parents keep a supply of gender-typical toys available so that when friends come over, “it’s easy to find a shared interest,” she says. If a boy decides to carry a rhinestone-embellished backpack to school, parents should prepare him for negative feedback. “You have to walk that fine line between helping your child be an individual, but at the same time, recognizing the world in which we live,” says Brown. Kilodavis says the way they approach these issues with Dyson has changed over the years. They can be more direct with him, because Dyson, now 7, has learned that his clothing choices can elicit negative responses. “I might say to him, ‘You can wear that dress to the party, but people may say some not-so-nice things,’” she says. Sometimes Dyson will decide that what he’s wearing is fine; other times he will opt for something more boyish. When her son, Eric, went through a pink phase, Bellevue mom Beth Golde says, she was often dismayed by the reactions of other people. “We would go to the party store, and he would pick the pink balloon every single time,” she says. Eric, now 11, is a budding engineer who can dismantle and reassemble anything electric. His love of pink has faded over the years. “He doesn’t mind pink now. He’s learned that he shouldn’t like it. Now he’d choose orange or red,” says Golde. Laura Mackenzie is a freelance writer. She lives in Redmond with her husband and two children, ages 8 and 12. We tend to be rigid in our thinking about gender behavior in boys. We don’t worry when girls wear boyish clothes or play with a train set. It’s important that we allow boys more flexibility when it comes to gender-based play. If some of your child’s interests don’t fit very well with gender norms, try to focus more on whether the activity represents a positive trait in your child. If a boy is nurturing or sensitive, foster those strengths and help your child feel good about who he is. If you are concerned about a gender identity disorder, remember that boys in this age group are still learning about gender, and it’s normal for them to participate in both boy and girl activities. There is more reason for concern if a child expresses an ongoing unhappiness with being a boy.